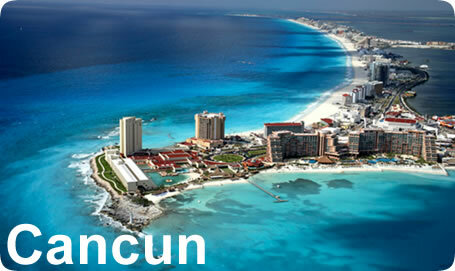 Cancun is the Heart of the Mexican Caribbean. Its tropical weather with year round sunshine makes it ideal for a vacation any time of the year. The beaches are known for their sugar white sands and beautiful turquoise waters. From horseback riding to scuba diving, you will never run out of things to do in Cancun. Visit the world’s largest underwater sculpture museum. By speedboat you will take a ride to the Isla Mujeres where you will begin your snorkeling tour of the underwater museum. Watersports: scuba diving, snorkeling, and sport fishing, which is some of the best in the world. Charter a sailboat with crew too. Adventure: zip-line, mountain bike riding, jungle jeep rides, swim the sacred Cenotes of the Riviera Maya. Weddings: One of the most romantic locations in the world. Getting married in Cancun, legal requirements. Puerto Vallarta’s history traces back to the 16th century when it was visited by Spanish explorers. It became a resting area for the pirates working in that area. It was not inhabited until about 1851. It wasn’t until 1918 that it became a municipality. Puerto Vallarta is the sixth-largest city in the state of Jalisco on the Pacific Coast of Mexico. It has the same latitude as Hawaii with a subtropical climate. August and September are the hottest months. June through October is the rainy season. With 40 miles of coastline, Puerto Vallarta has a diverse topography with tropical jungles, rocky riverbeds, steep mountainsides, and arid flatlands. The lodging options in this beautiful Jaliso city have over 18,000 lodging units; from bungalows to luxurious villas, boutique hotels to full-amenity resorts. It’s family friendly and great for corporate meetings. Marina Vallarta – This zone is located south of the airport. The Marina is a self-contained complex with a variety of upscale settings, including over 500-slips surrounded by condos. Its home to an 18-hole golf course and several luxury hotels. The Marina’s boardwalk is a delight with the variety of shops, galleries and restaurants available. Hotel Zone “Zone Hotelera” – Located between Downtown (El Centro) and the Marina Vallarta zone. Like the name indicates, its home to many hotels. Large brand chains to smaller properties, All-inclusive resorts, and high-rise condos. This zone offers lots of beach activity with long stretches of sand, people watching, beach vendors, and a lively setting. Downtown (El Centro)/Los Muertos Beach – Considered the heart and soul of Puerto Vallarta. Known for the nightlife, restaurants, bars and shopping. The El Centro is quaint with cobblestone streets, white-walled housing, wrought-iron balconies and red-tiled roofs. Its pedestrian friendly and the town’s famous Malecon mile long Beach. Los Arcos (arches) are across from the town’s main square. Open air concerts and performance are held here regularly. South Shore – Where the Sierra Vallejo meets the Bay. Isolated coves and beaches. This area is great for outdoor adventure and eco-tourism activities. Best cove-style beaches with white sands and calm waters. This area is where you will find most of Puerto Vallarta’s most luxurious villas. When’s the best time to go? The weather is warm and sunny throughout the year, with the average temperature being 88 and minimum 65. The U.S. and Mexican holidays impact the travel flow. Christmas and Easter are the busiest time of year. July and August is busy with Mexican and International vacationers. Year round the city has cultural festivals and sports tournaments. During the fall the vegetation is lush and there are fewer crowds and this is also the time when you can get off-season pricing. Deep-sea fishing – October through February is great for sailfish or marlin. May through October is great for small game fish. Art Walk – October through May they have a great art walk that is considered a cultural must. Considered the liveliest artisan community. More than four times the U.S. Population, China has about 1.4 billion people with the land area being about the same as the United States. The types of transportation you will find in China are a/c motor coaches, trains, domestic flights, boats of various sizes and rickshaws. There are three main cities in China; Beijing, Xi’an and Shanghai. Eight main cuisines: Shandong, Guangdong, Sichuan, Hunan, Jiangsu, Zhejiang, Fujian and Anhui. Mandarin is the official language spoken. China has 22 provinces, much like separate countries, 4 municipalities, and 5 autonomous regions. In Beijing you will want to see the Forbidden City, Tiananmen Square, Temple of Heaven, Summer Palace, Ming Tombs and the Great Wall. The local flavor of Beijing is roasted duck. Another one of the things you may want to do is visit the Beijing Opera. If you are interested in architecture you will want to check out the Water Cube (the National Aquatics Centre), Beijing Olympic Stadium, the CCTV Tower in the Central Business District, and the National Grand Theatre. The National Grand Theater is a huge glass and titanium dome-shaped structure designed by Paul Andreu. Shanghai “the City by the Sea” which is located in central-eastern China is sectioned into two parts: Pudong (east of Huangpu River) and Puxi (west of the Huangpu River). Shanghai is the gateway to the third longest river in the world, the Yangtze River. It’s the largest and longest river in all of Asia. The Yangtze River is home to the largest construction project since the Great Wall, the Three Gorges Dam. The Three Gorges are known as the Sanxia or individually as Wuxia Gorge, Quatang Gorge, and the Xiling Gorge. The Three Gorges Dam is the world’s largest hydroelectric dam and the construction costs are more than any other construction project in history. Xi’an “Peace in the West” is an ancient city, home of many important dynasties. One of the sites you will want to see is the 8,000 Terracotta Warriors which were founded by a farmer in the 1970’s and had been buried for more than 2,000 years. Huaqing Hot Spring, Xi’an City Wall, Xi’an Muslim Quarters and the Great Mosque, Shaanxi Provincial History Museum, Big Wild Goose Pagoda, Forest of Stone Steles, and Hanyang Tombs are among the many other sites you will want to see. Don’t forget to visit China’s National Treasure in Chengdu, home to the world’s largest giant and red Panda Reserve. It is conveniently located on the outskirts of Chengdu, home to about 80 giant pandas. On site is a research and breeding center with a museum. You can pay a fee to hold a Panda cub. Leshan “Happy Mountain” is home of the world’s largest stone-carved Buddha depicting Maitreya Buddha. The Giant Buddha was carved during one of the most important dynasties in Chinese history, the Tang Dynasty. Suzhou “city of gardens” has about 69 gardens that represent the different styles of Dynasties: Yuan, Ming, Song and Qing. Over the summer John Pistole TSA chief launched a trial ‘pre-screening’ pilot program called PreCheck with Delta and American Airlines for frequent flyers. The program allows the frequent flyers to present personal information in advance to pass through security a little more smoothly. The TSA started testing the program on Oct. 4th. Currently this TSA PreCheck pilot program for AA is available only at DFW (checkpoint C30) and Miami International Airport (checkpoint D2). In order to participate in this program you must enroll at CBP Global Online Enrollment System (GOES) account. On November 2nd, TSA chief John Pistole met with lawmakers to share the success of the program. You can check that out at the Senate Committee on Homeland Security and Governmental Affairs website. Also, changes to how TSA screens young children under the age of 12 have been set in place. The agency will no longer pat down children as long as nothing suspicious comes up in metal detector or body scanner detectors screenings. At this time the TSA PreCheck is only available on domestic flights out of four airports at Atlanta, Detroit, Dallas/Ft. Worth and Miami airports. At the Seante Committee on Wednesday Pistole was to share how successful it was going and that they will likely expand the pilot program. With the perception of the internet saving you time and money, you may find that not really being the case. Advances in online travel services may make customizing your vacation more difficult. Along with various hidden fees, self-booking your travel has become more complex. One of the major reasons you want to use a Travel Agent over an online service is for their specialized knowledge. Travel Agents are able to match pricing of online travel sites as well as answer any questions you may have. You may also find that with online travel services you have to deal with the headache of figuring out various rates and restrictions. A relationship with a Travel Agent can also save you from having to deal with oversold hotels, air, and natural disasters such as a Tsunami on your own. Your relationship with your Travel Agent isn’t going to leave you stranded; whereas the relationship with your computer won’t be able to offer you assistance when you are stuck at the airport half way around the world. If you are planning a big vacation, you might want to reconsider giving that credit card information to an online source. Do you know how secure that source will be? Wouldn’t you prefer to have a real person hold your hand through the process of that once in a lifetime vacation experience. So, do yourself a favor. Look for an experienced travel professional who wants to work with you and make sure every travel experience is the best it can possibly be.